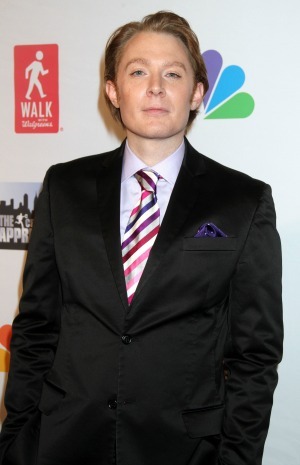 Is Clay Aiken the next congressman from North Carolina? Clay Aiken has done a lot since his American Idol days, but is politics his next step? Clay Aiken is an American Idol runner up, a Broadway performer, and now a U.S. Congress candidate? D.C. newspaper The Washington Blade said Aiken is “actively considering” a run for Congress from his home state of North Carolina. Sources told the newspaper that Aiken has been “sounding and acting like a candidate,” and has been talking with the Democratic Congressional Campaign Committee about the possibility of running for the U.S. House of Representatives. According to People, Aiken hasn’t yet commented on a possible run, but he seems to have been along the path for years. He’s always had many causes close to his heart, including UNICEF, and has been a strong supporter of anti-bullying and anti-discrimination campaigns. Aiken cofounded the National Inclusion Project, which helps children with disabilities. The North Carolina primary is coming up on May 6, and Aiken would need to file by Feb. 28 at the very latest. Other Democrats have already announced runs for the seat currently occupied by Republican Rep. Renee Ellmers. Aiken rose to fame a decade ago when competing on American Idol in 2003. He came in second, behind Ruben Studdard, and has since done many different things. The singer publicly came out in 2008, and now has a son. Besides his good deeds, Aiken is also working at being a dad. After wrapping up his Broadway run in 2009, he only wanted to focus on his son Parker. Aiken will need to make his announcement sometime in the next few months, but may have given a clue responding to birthday wishes on Twitter. On Nov. 30, he began hashtagging his tweets with #oldenoughtorunforpresidentnow.